Who We Are | MacKellar Associates, Inc.
With over 90 years of maintaining business expertise, four offices in three states, global alliances throughout North America, Asia and Europe, MacKellar is uniquely positioned as an ideal partner and solutions provider for its customers and principals. Mackellar's manufacturers' representative division is a sales, service, and business development organization with decorative solutions expertise. 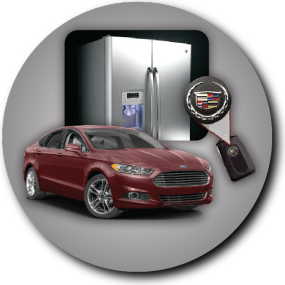 The division's top OEM customers include FCA, GM, Ford, GE and Whirlpool as well as many Tier suppliers. Through knowledge and experience, MacKellar will continue to offer products that align with its customers vision globally. MacKellar has established relationships with every OEM and many Tier suppliers. We value these established relationships and enjoy the journey from concept to delivery. Our experienced sales and business development team oversee the design, purchasing, engineering, and quality levels of each customer providing full circle program management assistance throughout the life of programs. By positioning our business support team within Michigan, Ohio and Indiana, MacKellar’s market exposure spreads throughout the Midwest and Southern territories. These regional offices were uniquely positioned, providing added value and knowledge of markets and rapid access to our customers.